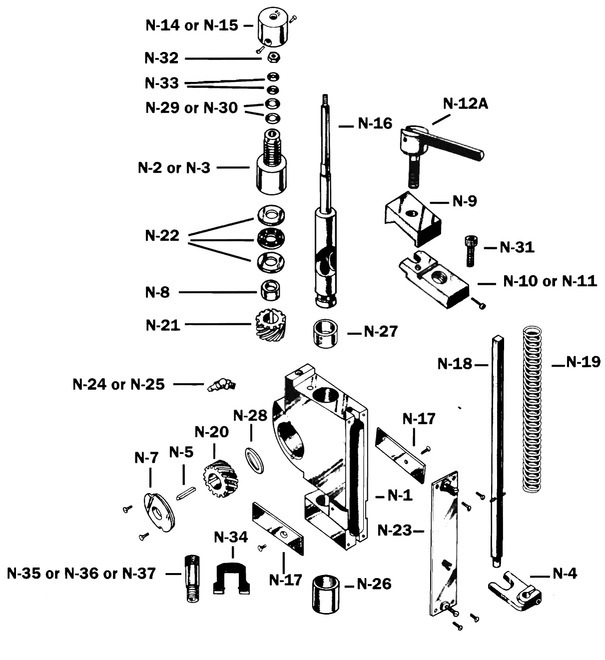 Listed below is an illustration of a Nygren Dahly / Baum ND head dissection along with parts descriptions. Call or email us with the part you are needing and we will provide a competitive quote. If you do not see the part you are looking for, let us know and we will get it.